Kaminarimon gate, built by military commander Taira no Kinmasa in 942, was erected in the present location during the Kamakura period (1192-1333). 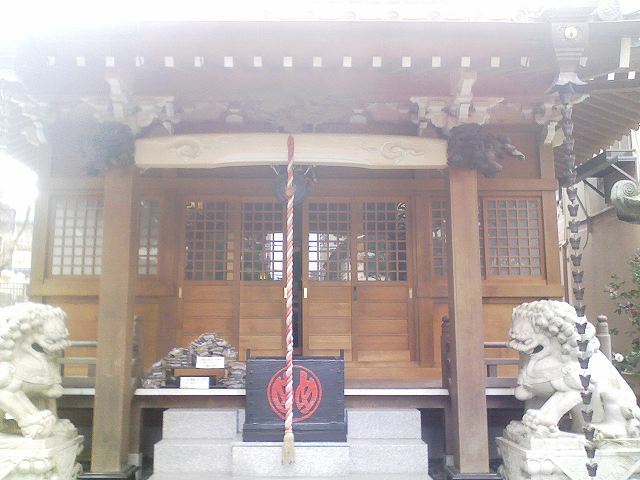 At that time, statues of Fujin (wind god) and Raijin (thunder god) came to rest at either side of the gate. People initially offered prayers to these two statues for the protection of the temple against natural disasters including typhoons, floods and fire. Over time, they became the subject of prayers for the benefit of the people, such as for a bountiful harvest and for peace in the world. The gate was burned down in a massive fire in December 1865. After a period of 95 years, it was finally reconstructed by Konosuke Matsushita, founder of Matsushita Electric, the electronics company known for its Panasonic brand. 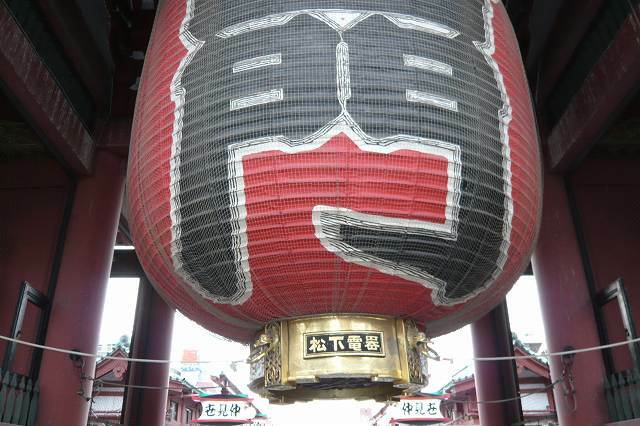 The bold, dignified gate is known around Japan not only as a symbol of Senso-ji but of the whole of Asakusa. 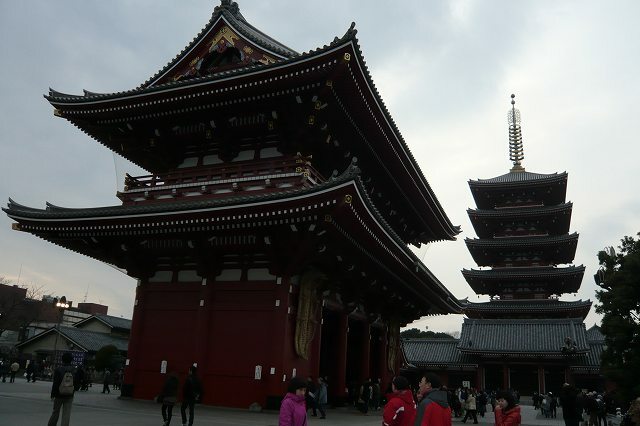 Nitenmon Gate was originally erected in 1618 as the gate of Tosho-gu Shrine, once located inside the Senso-ji complex. 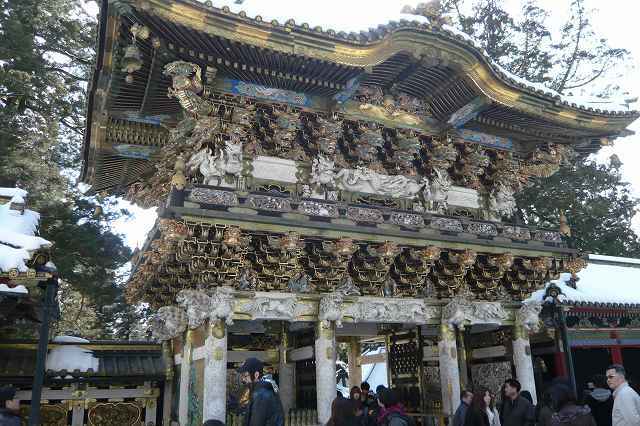 Known also as Yadaijinmon Gate, it was dedicated to Japan's ancient Shinto gods. Tosho-gu Shrine was destroyed by fire in 1642, and this gate, along with the stone bridge located in front of Yogodo, were the only structures to survive. Around the latter half of 19th century, the Meiji government had a policy of separating Shintoism and Buddhism. 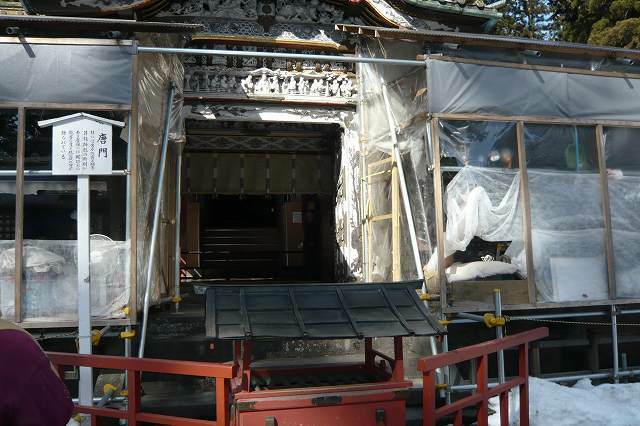 The statues of Zochoten and Jikokuten, previously owned by Tsurugaoka Hachiman-gu Shrine (a famous Shinto shrine of the Kamakura area) were moved to the Buddhist Senso-ji. 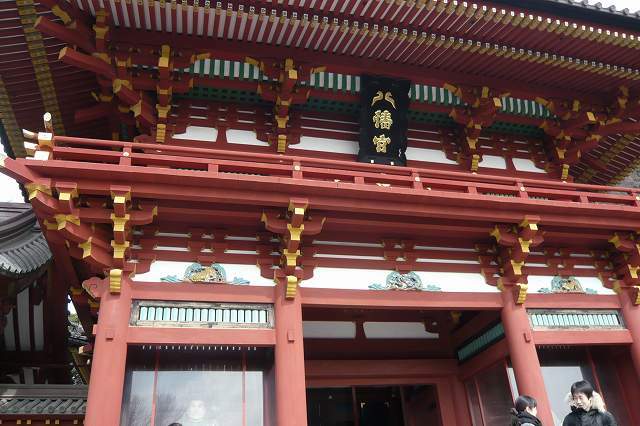 The gate was re-named “Nitenmon Gate” in line with Buddhist terminology. Unfortunately the original statues were decimated during World War II. The two statues now guarding the gate came from Genyuin Hall (the gravesite of Tokugwa Ietsuna, the fourth Edo shogun) of Kanei-ji, the family temple of the Tokugawas at Ueno Park, Tokyo. The gate has also been named an Important Cultural Property by the national government. 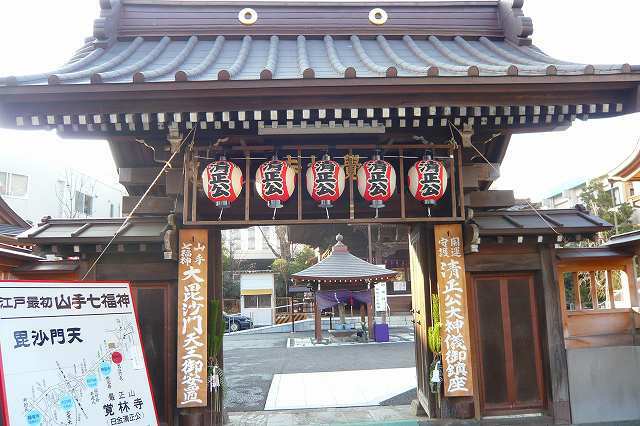 The plaque on the gate that reads “Nitenmon” was created by Sanetomi Sanjo, a 19th century aristocrat and politician. The Statue of Liberty, officially titled Liberty Enlightening the World, dedicated on October 28, 1886, is a monument commemorating the centennial of the signing of the United States Declaration of Independence, given to the United States by the people of France to represent the friendship between the two countries established during the American Revolution. It represents a woman wearing a stola, a radiant crown and sandals, trampling a broken chain, carrying a torch in her raised right hand and a tabula ansata, where the date of the Declaration of Independence JULY IV MDCCLXXVI is inscribed, in her left arm. Standing on Liberty Island in New York Harbor, it welcomes visitors, immigrants, and returning Americans traveling by ship. 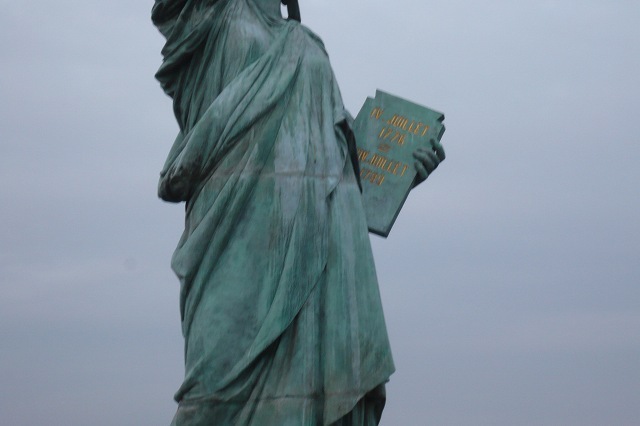 Frederic Auguste Bartholdi sculpted the statue and obtained a U.S. patent for its structure. Maurice Koechlin—chief engineer of Gustave Eiffel's engineering company and designer of the Eiffel Tower—engineered the internal structure. The pedestal was designed by architect Richard Morris Hunt. 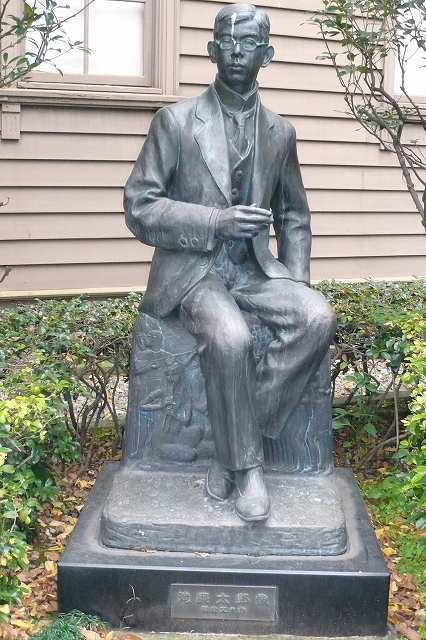 Eugene Viollet-le-Duc was responsible for the choice of copper in the statue's construction, and for the adoption of the repousse technique, where a malleable metal is hammered on the reverse side. 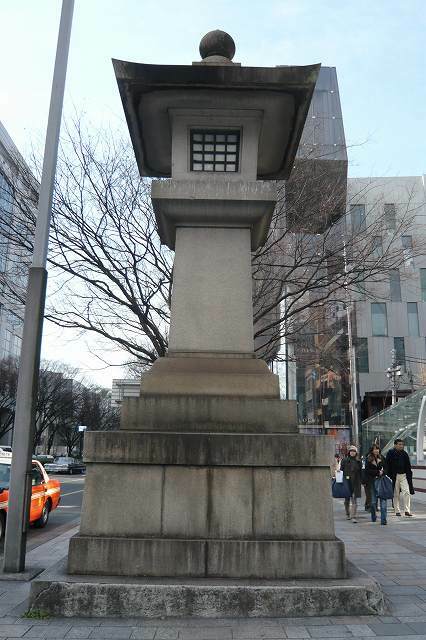 The ginkgo that had stood next to Tsurugaoka Hachiman-gu's stairway almost from its foundation and which appears in almost every old print of the shrine, was completely uprooted and irreparably damaged at 4:40 in the morning on March 10, 2010. According to an expert who analyzed the tree, the fall is likely due to rot. 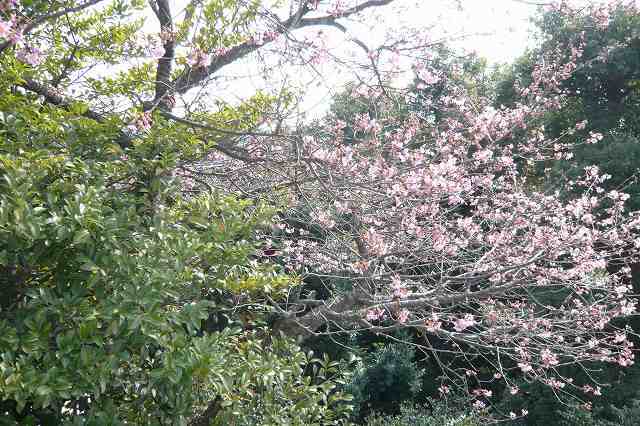 The tree was nicknamed kakure-ichou because according to an Edo period urban legend, a now-famous assassin hid behind it before striking his victim. 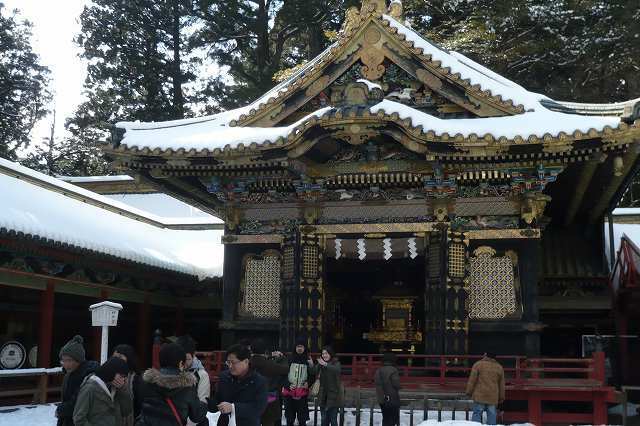 Under heavy snow on the evening of February 12, 1219, shogun Minamoto no Sanetomo was coming down from Tsurugaoka Hachiman-gu's Senior Shrine after assisting to a ceremony celebrating his nomination to Udaijin. 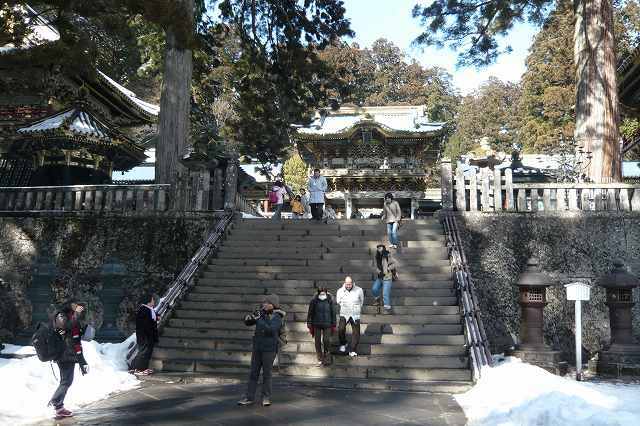 His nephew Kugyou, son of second shogun Minamoto no Yoriie, came out from next to the stone stairway of the shrine, then suddenly attacked and assassinated him. 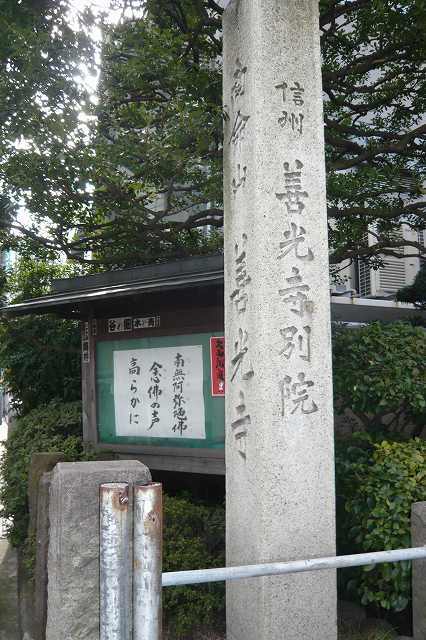 For his act he was himself beheaded a few hours later, thus bringing the Seiwa Genji line of the Minamoto clan and their rule in Kamakura to a sudden end. The andon became popular in the Edo period. 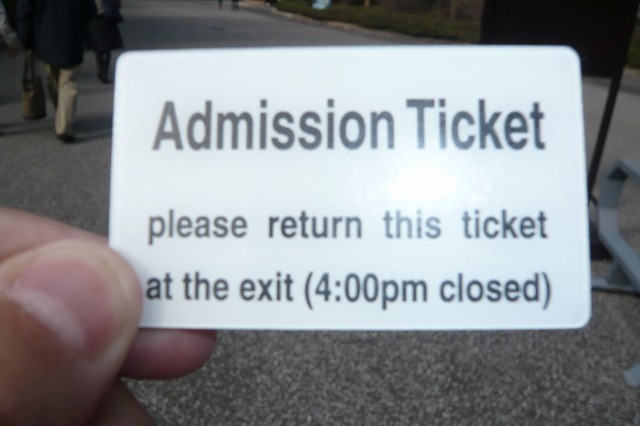 Early on, the andon was handheld; it can also be placed on a stand or hung on a wall. The okiandon was most common indoors. Many had a vertical box shape, with an inner stand for the light. Some had a drawer on the bottom to facilitate refilling and lighting. A handle on top made it portable. A variety was the Enshu andon. 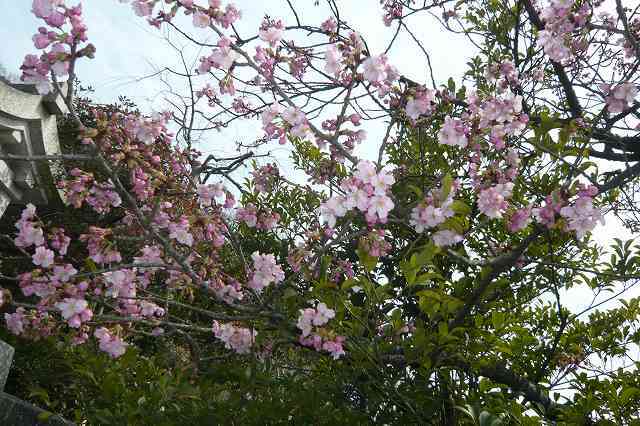 One explanation attributes it to Kobori Enshu, who lived in the late Azuchi-Momoyama Period and early Edo period. Tubular in shape, it had an opening instead of a drawer. Another variety was the Ariake andon, a bedside lamp. The kakeandon under the eaves of a shop, often bearing the name of the merchant, was a common sight in the towns. The expression hiru andon, or "daytime lamp," meant someone or something that seemed to serve no purpose. In dramatizations of the story of the forty-seven ronin, Oishi Yoshio is often given this description. 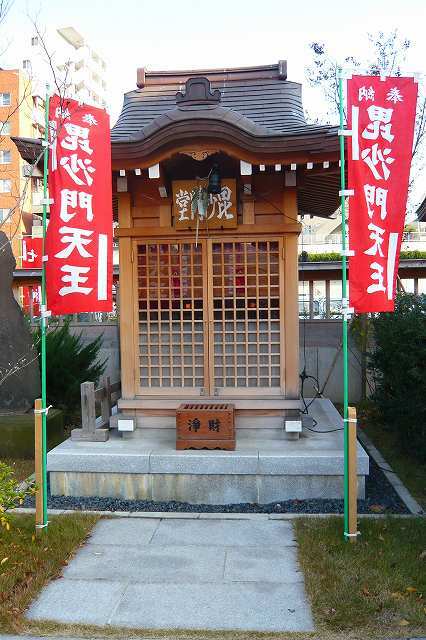 The bonbori was a small, portable andon with a six-sided cross-section and a rather wide, open top. Like the andon, it consisted of paper over a frame. The chochin had a frame of split bamboo wound in a spiral. Paper or silk protected the flame from wind. The spiral structure permitted it to be collapsed into the basket at the bottom. The chochin hung from a hook at the top. In present-day Japan, plastic chochin with electric bulbs are still produced as novelties, souvenirs, and for matsuri and events. The earliest record of a chochin dates to 1085, and one appears in a 1536 illustration. 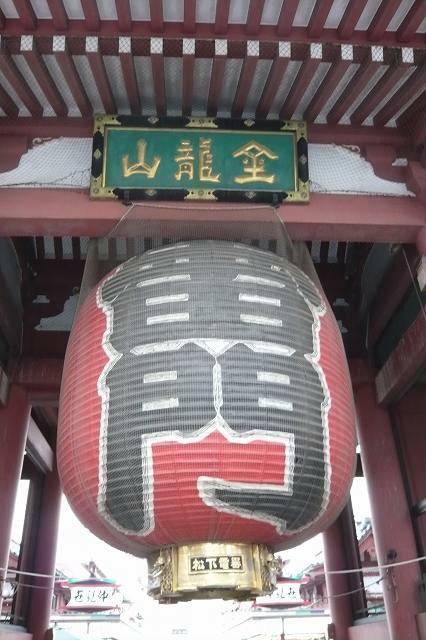 The akachochin, or red lantern, marks an izakaya. Originally used in the broad sense to mean any lantern, the word tourou came to mean a lamp of stone, bronze, iron, wood, or another heavy material. These illuminate the grounds of Buddhist temples, Shinto shrines, Japanese gardens, and other places that include tradition in their decor. The earlier oil and candles have given way to the electric bulb. 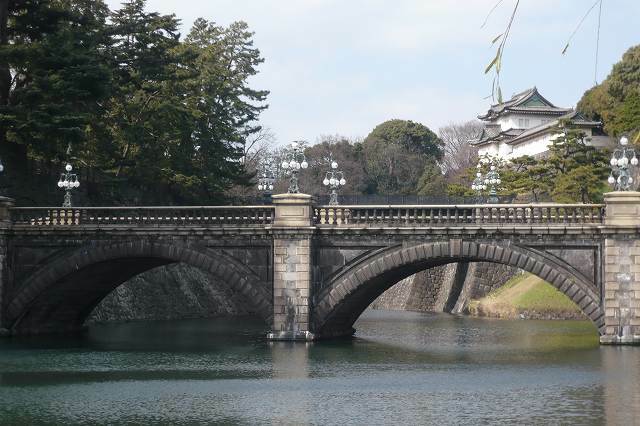 Nijubashi (in English, double bridge) is the name of bridges at the front gate of Imperial Palace. 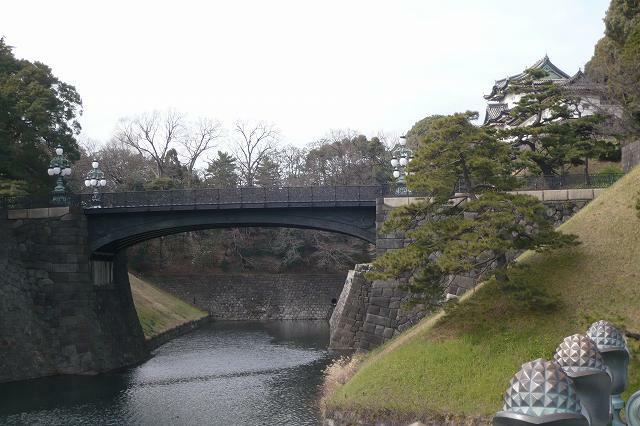 The inner bridge is "Seimon Tekkyo" (the iron bridge of front gate), whereas the outer one is "Seimon Ishibashi" (the stone bridge of front gate). The origin of the name double bridge is that the inner bridge at Edo era had double-structured, of which lower bridge increased the strength of upper bridge, so originally only the inner bridge was called Nijubashi. 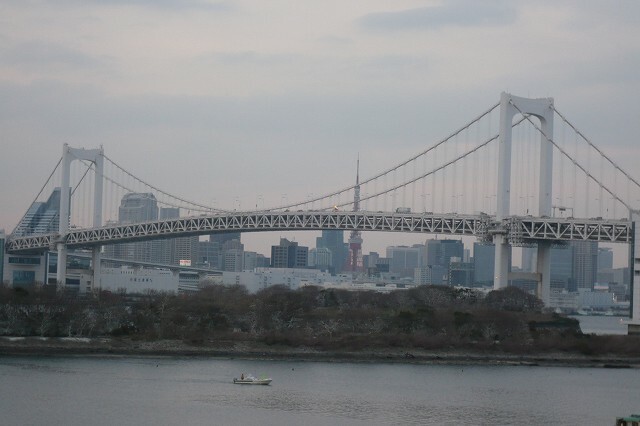 But now it has been changed and the official view of the Imperial Household Agency is that the origin of the name is derived from the view of two bridges. Both bridges were originally wooden bridges, and the inner bridge was build as stone bridge in 1887, while the outer bridge was built as iron bridge in 1888, using German architecture. 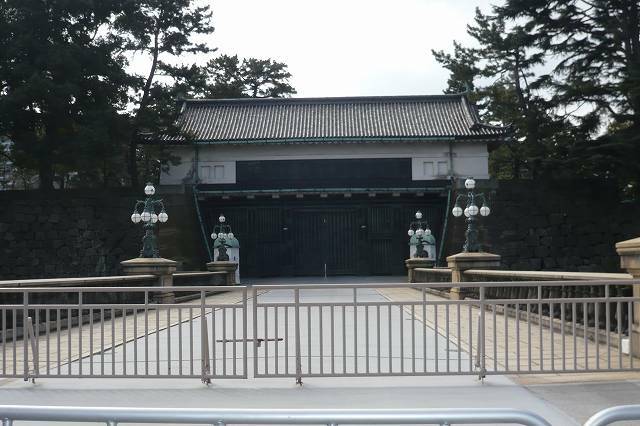 The gate connected with Seimon Ishibashi is Ohte Mon, and the building at further inner side is Fushimi Yagura. 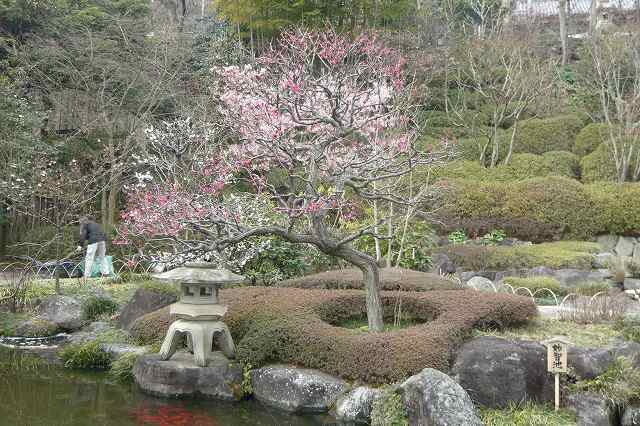 Fushimi Yagura is a small castle inside the Imperial Palace at Ohte Mon. It is told that this building was derived from Fushimi castle of Kyoto. 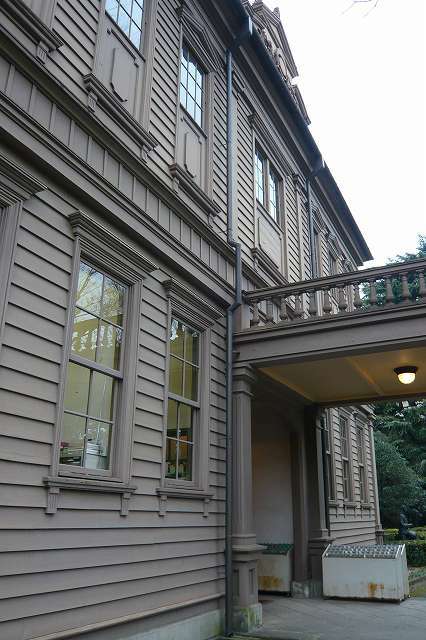 The current building was rebuilt after collapsed at the Kanto Great Earthquake in 1925. Kyoto Fushimi castle was originally built at Yubitsuki along Uji river by Toyotomi, Hideyoshi, and after collapsed in 1596 it was moved and rebuilt at Momoyama. The castle was attacked and fired by Ishida Mitsunari troops, then repeatedly rebuilt by Tokugawa Ieyasu. Edo Castle, also known as Chiyoda Castle, is a flatland castle that was built in 1457 by Ota Doukan. 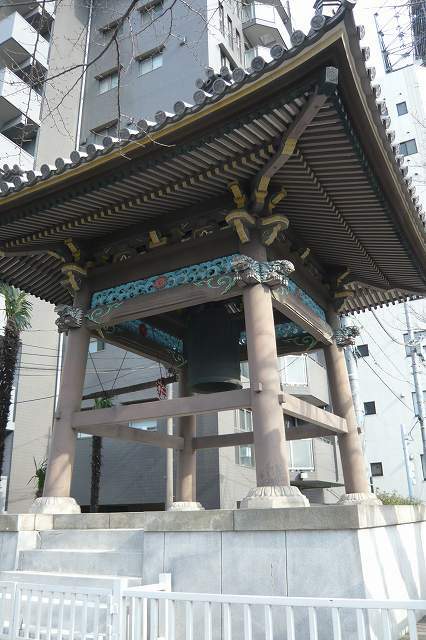 It is located in Chiyoda in Tokyo, then known as Edo, Toshima District, Musashi Province. Tokugawa Ieyasu established the Tokugawa shogunate here. It was the residence of the shogun and location of the shogunate, and also functioned as the military capital during the Edo period of Japanese history. After the vacation of the shogun and the Meiji Restoration, it became the Tokyo Imperial Palace. Some moats, walls and ramparts of the castle survive to this day. However, the grounds were much more extensive during the Edo period, with Tokyo Station and the Marunouchi section of the city lying within the outermost moat. 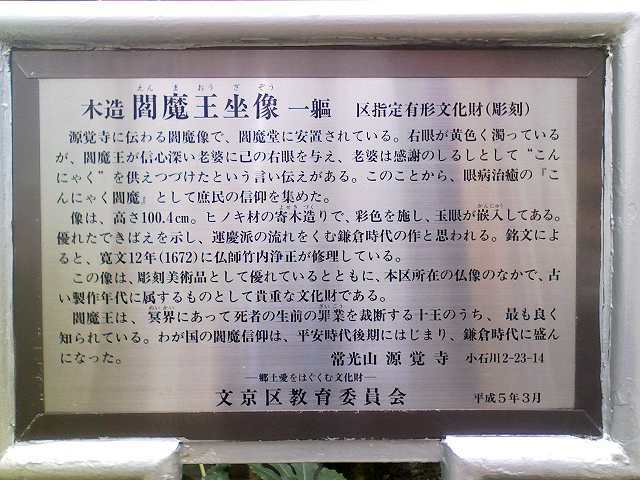 It also encompassed Kitanomaru Park, the Nippon Budokan Hall and other landmarks of the surrounding area. The warrior Edo Shigetsugu built his residence in what is now the Honmaru and Ninomaru part of Edo Castle, around the end of the Heian or the beginning of the Kamakura period. The Edo clan perished in the fifteenth century as a result of uprisings in the Kanto region, and Ota Dokan, a retainer of the Ogigayatsu Uesugi family, built Edo Castle in 1457. The castle later came under the control of the Late Hojo clan. The castle was vacated in 1590 due to the Siege of Odawara. Tokugawa Ieyasu made Edo Castle his base after he was offered six eastern provinces by Toyotomi Hideyoshi. He later defeated Toyotomi Hideyori, son of Hideyoshi, at the Battle of Sekigahara in 1600, and emerged as the political leader of Japan. Tokugawa Ieyasu received the title of Seii Taishōgun in 1603, Edo became the center of Tokugawa administration. Initially, the area was not habitable with parts of it lying under water. 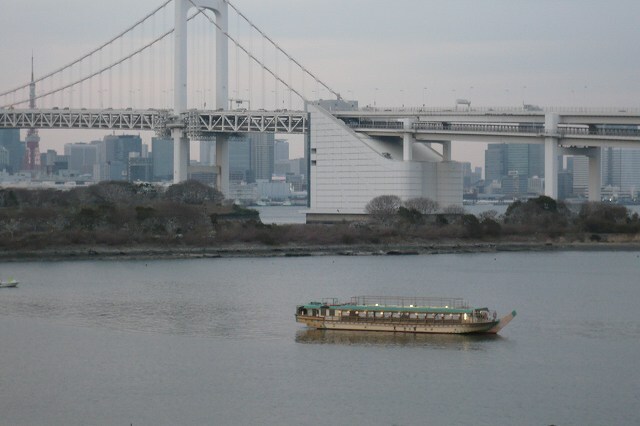 The sea reached the later Nishinomaru area of Edo Castle, and Hibiya was a beach. The land was changed for the construction of the castle. 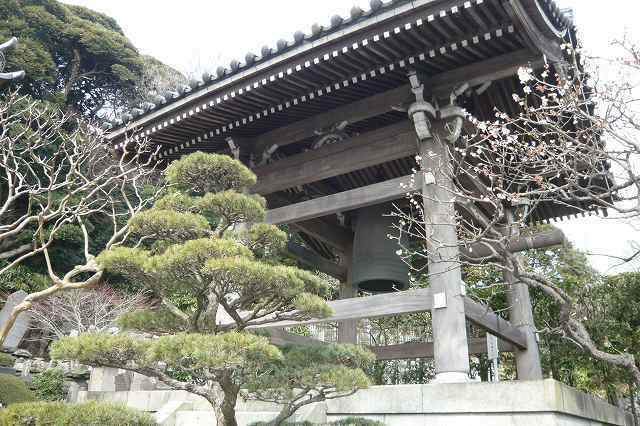 Most construction took place starting in 1593 and reached completion in 1636 under the grandson Tokugawa Iemitsu. By this time, Edo had a population of 150,000. 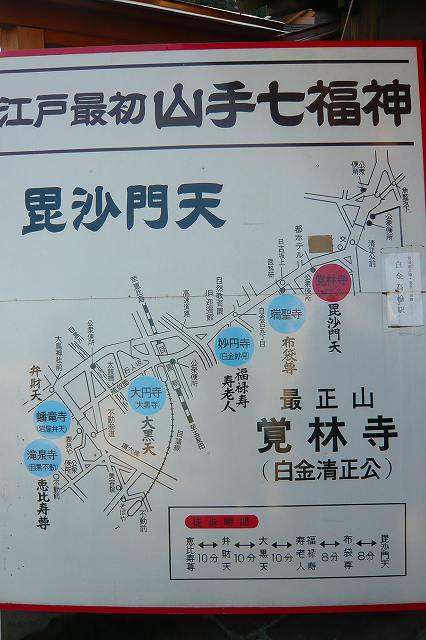 The grounds grew with the addition of Nishinomaru, Nishinomaru-shita, Fukiage, and Kitanomaru areas to the existing Honmaru, Ninomaru, and Sannomaru areas. The perimeter measured 16 km. The daimyo were required by the shogun to supply building materials or finances, a method used by the shogunate to keep the powers of the daimyo in check. 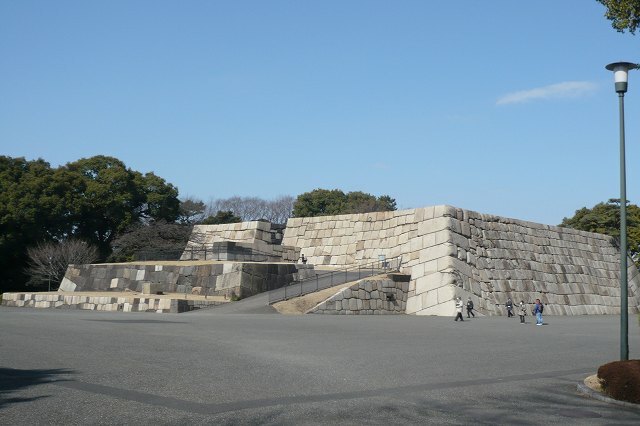 Large granite stones were moved from afar, the size and number of the stones depending on the wealth of the daimyo. The wealthier ones had to contribute more. Those who did not supply stones were required to contribute labour in tasks like digging the large moats and flattening hills. The earth that was taken out from the moats were used as landfill for sea-reclamation or to level the ground. Thus the construction of Edo Castle laid the foundation for parts of the city where merchants were able to settle. At least 10,000 men were involved in the first phase of the construction and more than 300,000 in the middle phase. When construction ended, the castle had 38 gates. The ramparts were almost 20 metres and the outer walls 12 metres high. Moats in rough concentric circles were dug throughout for further protection. Some of the moats reached as far as Ichigaya and Yotsuya areas, parts of the ramparts survive to this day. Either the sea or the Kanda river surrounded it, enabling navigation by ships. Various fires over the centuries damaged or destroyed parts of the castle, since Edo and the majority of the buildings were constructed out of wood. On April 21, 1701, in the Great Pine Corridor (Matsu no Rouka) of Edo Castle, Asano Takumi-no-kami drew his short sword and attempted to kill Kira Kozuke-no-suke for insulting him. This triggered the events involving the Forty-seven Ronin. 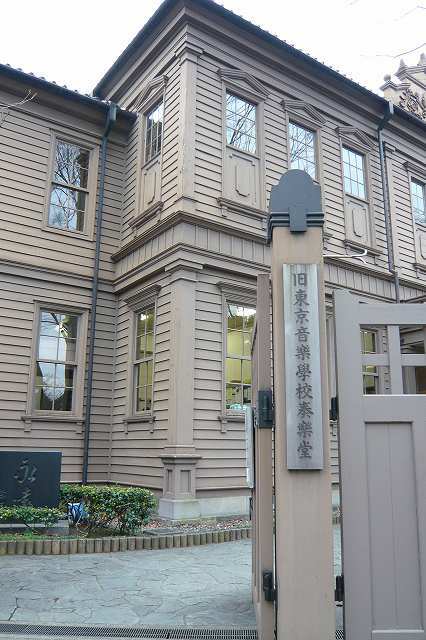 Tokyo Sougaku-do Concert Hall, established in 1890, is the oldest concert hall in Japan. 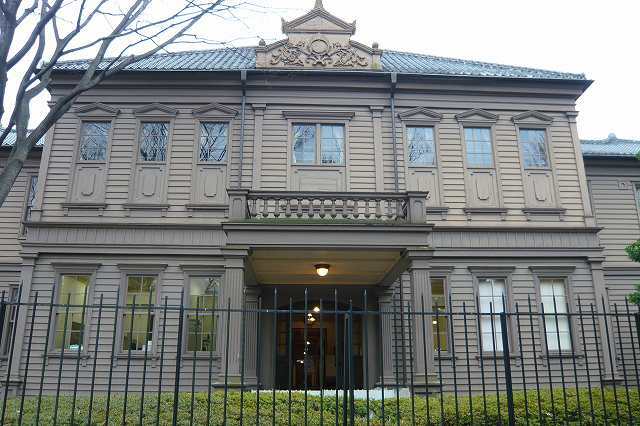 Formerly the Hall belonged to the Tokyo National University of Fine Arts and Music. 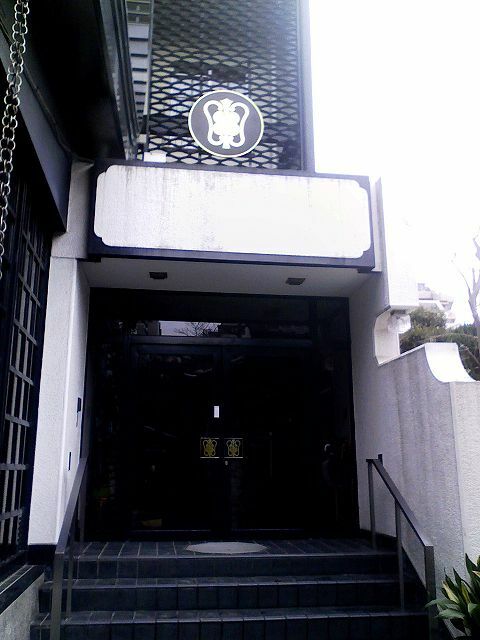 In 1972 it had however become too old for school use, so the Taito City obtained its property and designated it as an Important Cultural Properties. 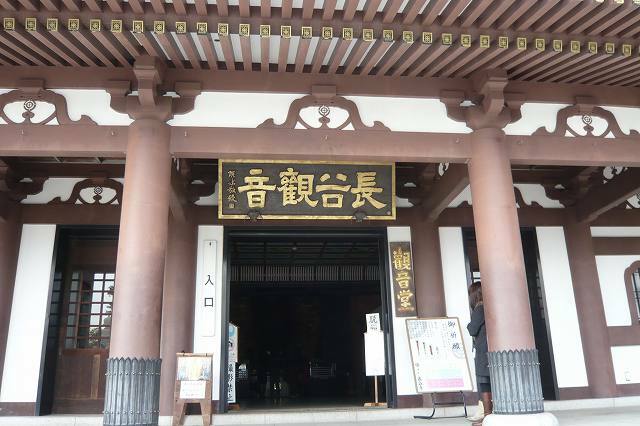 The hall was rebuilt in Ueno park, and nearby stands the statue of Rentaro Taki, one of its alumni. Rentarou Taki was a pianist and one of the best-known composers of Japan. Taki was born in Tokyo, but moved to many places during his childhood owing to his father's job. 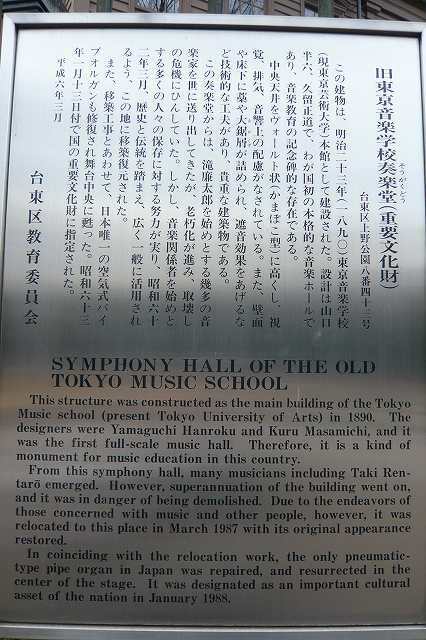 He graduated from the Tokyo Music School in 1901. One of his famous pieces is Koujou no Tsuki, which was included in the songbook for junior high school students, along with the Hakone-Hachiri. Hana is a well-known song, too. In the same year, Taki went to the Leipzig Conservatory, Germany to study music further, but fell seriously ill with tuberculosis of the lungs and came back to Japan. He lived quietly in the country afterwards, but soon died at the age of 23. 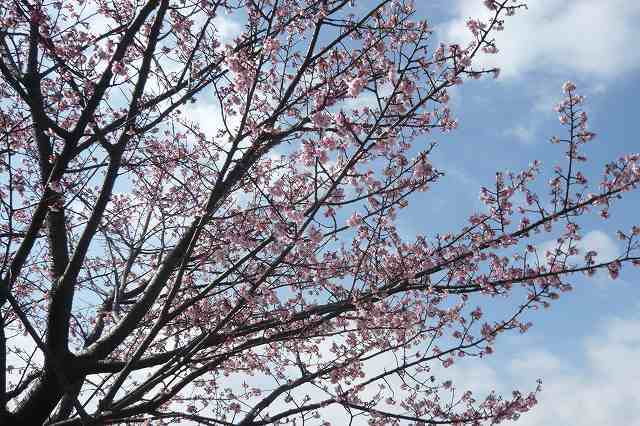 His posthumous work is a solo piano piece called Urami (憾), which he wrote four months before he died. It is said that he laid the meaning of "regret" in the title of his last piece. Kegon Waterfalls are located at Lake Chuzenji (source of the Oshiri River) in Nikko National Park in the city of Nikko, Tochigi Prefecture, Japan. 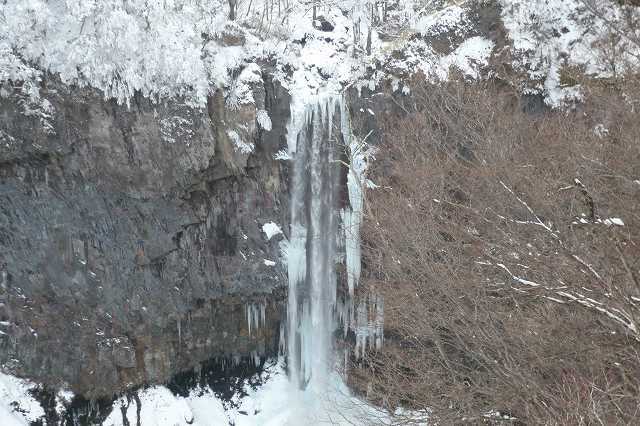 The falls were formed when the Daiya River was rerouted by lava flows. About twelve smaller waterfalls are situated behind and to the sides of Kegon Falls, leaking through the many cracks between the mountain and the lava flows. 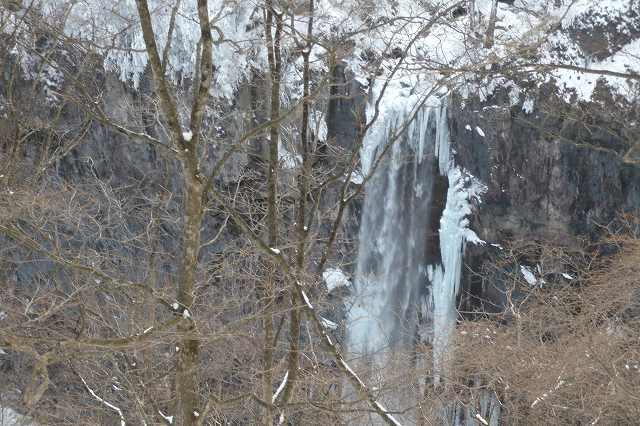 At 97 m high, it is one of Japan's three highest waterfalls. In the autumn, the traffic on the road from Nikko to Chuzenji can sometimes slow to a crawl as visitors come to see the fall colors. 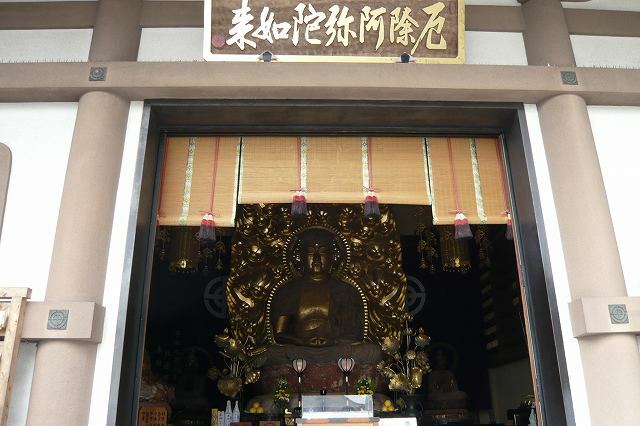 Kegon (華厳) is the name of the Japanese transmission of the Huayan school of Chinese Buddhism. This transmission occurred through the Korean Hwaeom tradition. 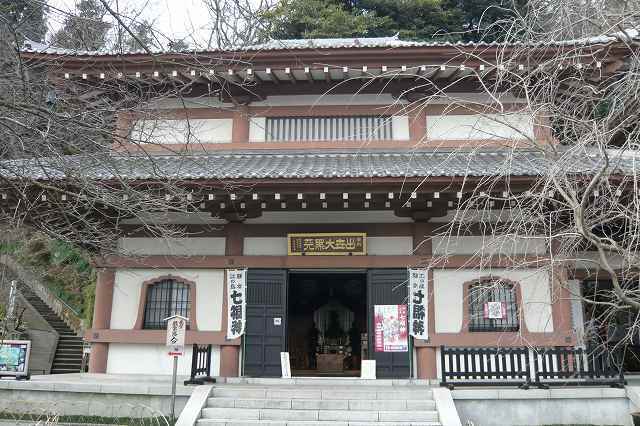 Huayan studies were founded in Japan when, in 736, the scholar-priest Rouben (良辯; a monk of the Hossou tradition) invited Shinshou (審祥) to give lectures on the Avatamsaka Sutra at Kinshousen-ji (金鐘山寺), the origin of later Toudai-ji. When the construction of Toudai-ji was completed, Rouben entered that temple to formally initiate Kegon as a field of study in Japanese Buddhism, and Kegon-shu would become known as one of the "Nanto Rikushu" (南都六宗, The Six Buddhist Sects of Nanto (Nara). Rouben's disciple Jitchu continued administration of Todaiji temple and expanded its prestige through the introduction of imported rituals. Kegon thought was later be popularized in Japan by Myoue (明惠), who combined its doctrines with those of Vajrayana and Gyounen (凝然), and is most responsible for the establishment of the Toudai-ji lineage of Kegon. Over time, Kegon incorporated esoteric ritual from Shingon Buddhism, with which it shared a cordial relationship, and continues to this day with limited temples overseas. Mount Nantai, also called Futarasan, is a stratovolcano in the Nikko National Park in the main island of Japan. It stands at 2,486 m high. The mountain is popular with hikers, and the trail to the summit starts through a gate at Futarasan Shrine's Chugushi (中宮祠, middle shrine). 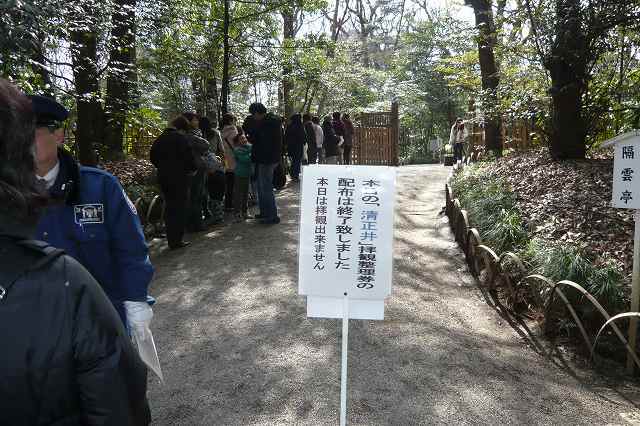 The gate is open between 5 May and 25 October. 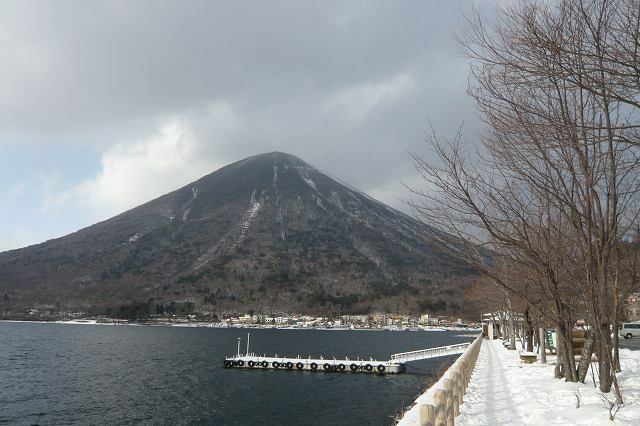 Mount Nantai is selected as one of the 100 famous mountains in Japan. 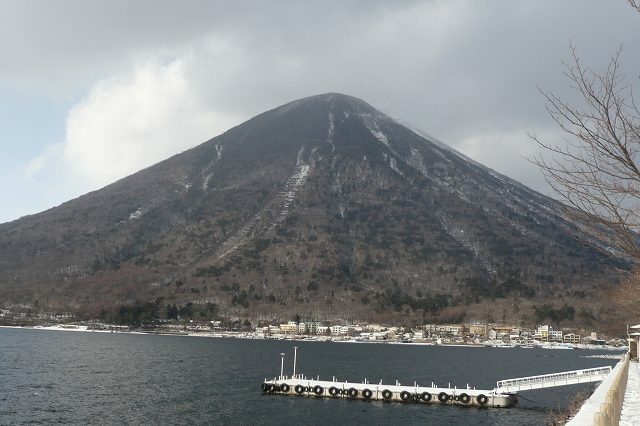 In September 2008, the Japan Meteorological Agency was asked to reclassify Mount Nantai as "active" based upon work by Yasuo Ishizaki and colleagues of Toyama University showing evidence of an eruption approximately 7000 years ago. Archeologists affirm that during the Yayoi period the most common go-shintai (御神体, a yorishiro housing a kami) in the earliest Shinto shrines was a nearby mountain peak supplying with its streams water, and therefore life, to the plains below, where people lived. 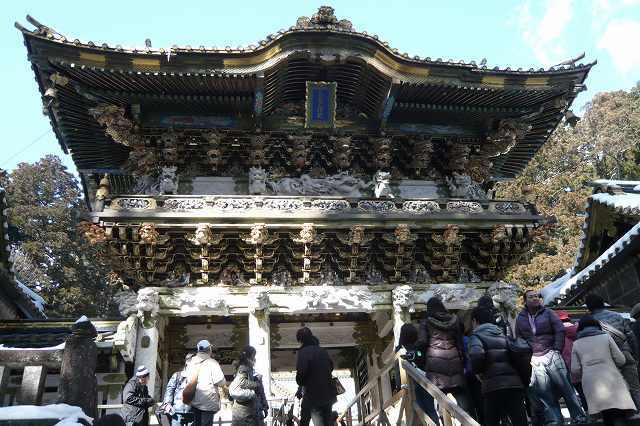 Mount Nantai constitutes Futarasan Shrine's go-shintai, and the shrine is an important example of this ancient type of mountain cult. Significantly, the name Nantai itself means "man's body". The mountain not only provides water to the rice paddies below, but has the shape of the phallic stone rods found in pre-agricultural Joumon sites. 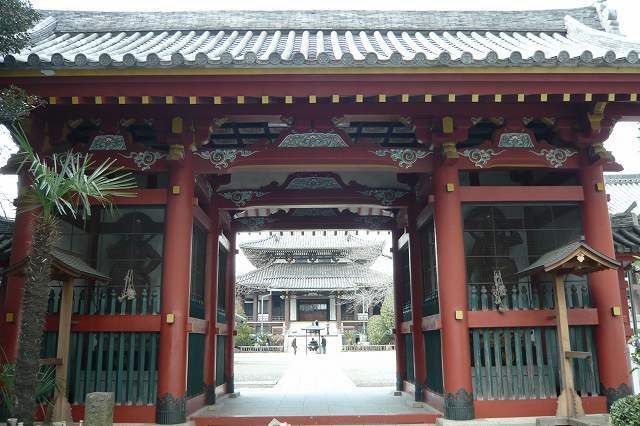 The karamon or karakado is a type of gate seen in Japanese architecture. It is characterized by the usage of karahafu, an undulating bargeboard peculiar to Japan. 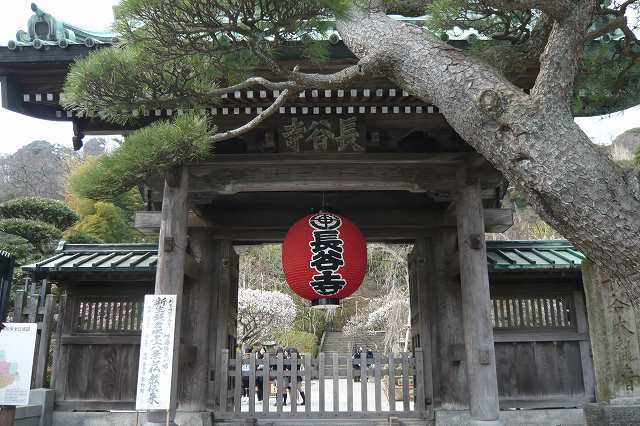 Karamon are often used at the entrances of Japanese castles, Buddhist temples and Shinto shrines, and have historically been a symbol of authority. Although kara (唐) can be translated as meaning "China" or "Tang", this type of roof with undulating bargeboards is an invention of Japanese carpenters in the late Heian period. It was named thus because the word kara could also mean "noble" or "elegant", and was often added to names of objects considered grand or intricate regardless of origin. The karahafu developed during the Heian period and is shown in picture scrolls to decorate gates, corridors, and palanquins. Initially, the karahafu was used only in temples and aristocratic gateways, but starting from the beginning of the Azuchi-Momoyama period, it became an important architectural element in the construction of a daimyo's mansions and castles. 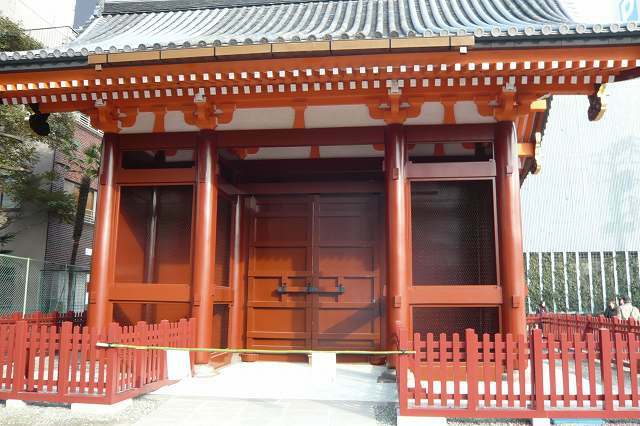 The karamon entrance was reserved for the shogun during his onari visits to the retainer, or for the reception of the emperor at shogunate establishments. A structure associated with these social connections naturally imparted special meaning. 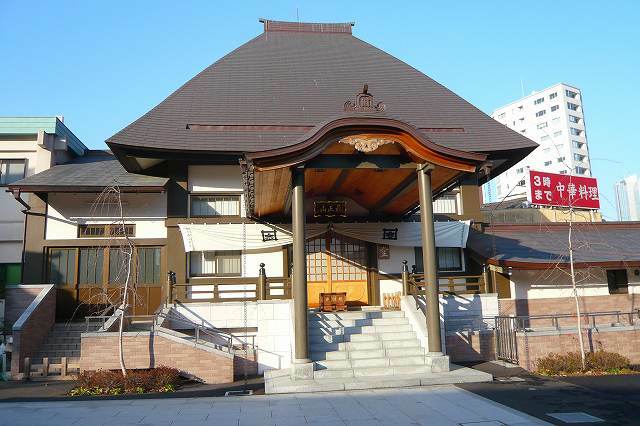 Karamon would later became a means to proclaim the prestige of a building and functioned as a symbol of both religious and secular architecture. 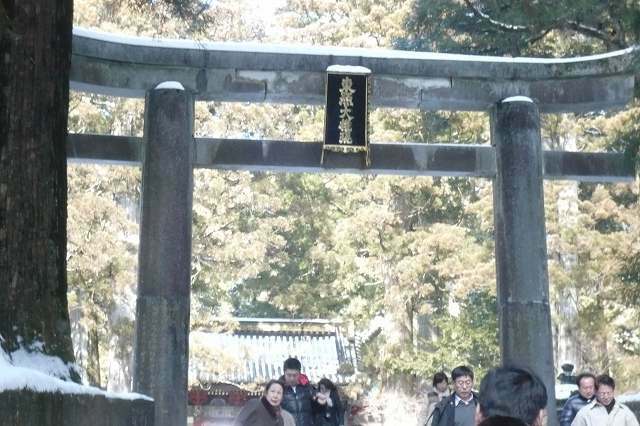 In the Tokugawa shogunate, the karamon gates were a powerful symbol of authority reflected in architecture. Kato Kiyomasa was born in Owari Province to Kato Kiyotada. Kiyotada's wife, Ito, was a cousin of Toyotomi Hideyoshi's mother. Kiyotada died while his son (then known as Toranosuke) was still young. Soon after, Toranosuke entered service with Hideyoshi, and in 1576, at age 14, was granted a revenue of 170 koku. He fought in Hideyoshi's army at the Battle of Yamazaki, and later, at the Battle of Shizugatake. Owing to his distinguished conduct in that battle, he became known as one of the Seven Spears of Shizugatake. Hideyoshi rewarded Kiyomasa with an increased revenue of 3000 koku. When Hideyoshi became the kampaku in the summer of 1585, Kiyomasa received the court title of Kazue no Kami (主計頭) and junior 5th court rank, lower grade (従五位下). In 1586, after Higo Province was confiscated from Sassa Narimasa, he was granted 250,000 koku of land in Higo, and given Kumamoto Castle as his provincial residence. During the Battle of Sekigahara, Kiyomasa remained in Kyuushuu, siding with the eastern army of Tokugawa Ieyasu. For his loyalty to the Tokugawa, Kiyomasa was rewarded with the former territories of his rival Konishi (who had sided with Ishida), which when added to his existing territory, increased the Kumamoto domain to around 530,000 koku. In his later years, Kiyomasa tried to work as a mediator for the increasingly complicated relationship between Ieyasu and Toyotomi Hideyori. 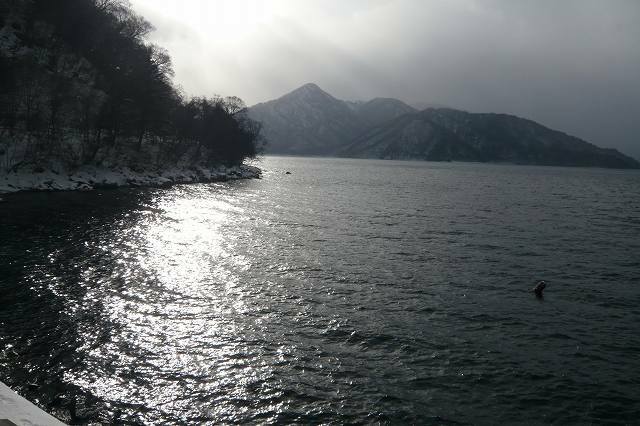 In 1611, en route by sea to Kumamoto after one such meeting, he fell ill, and died shortly after his arrival. 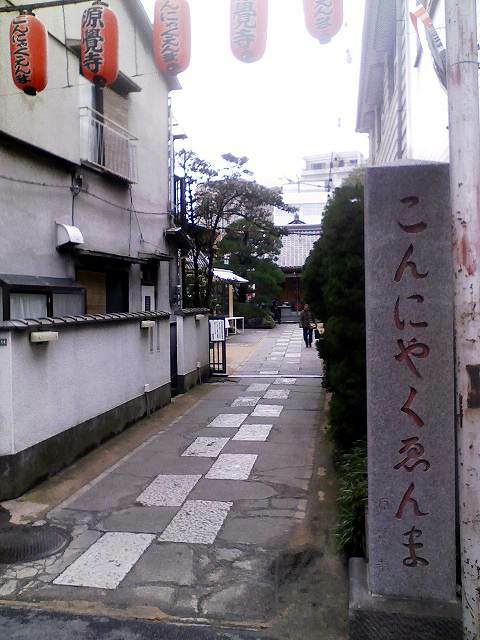 He was buried at Honmyo-ji temple in Kumamoto, but also has graves in Yamagata Prefecture and Tokyo. 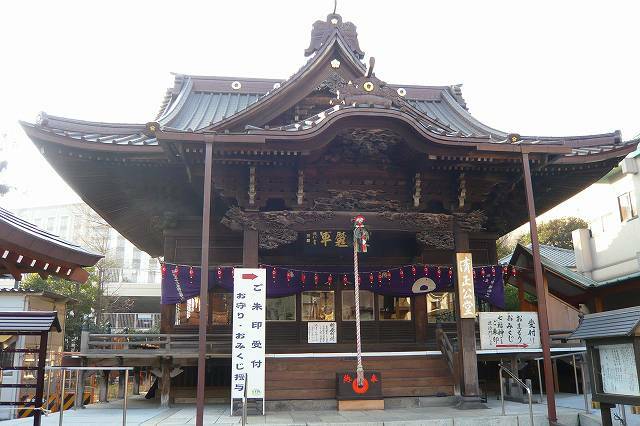 Kiyomasa is also enshrined in a Shinto shrine in Kumamoto. 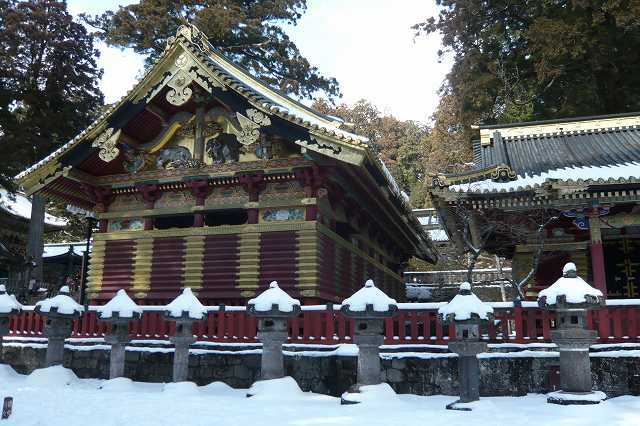 Zenkou-ji is a Buddhist temple, located in Nagano, Japan. The temple was built in the 7th century. 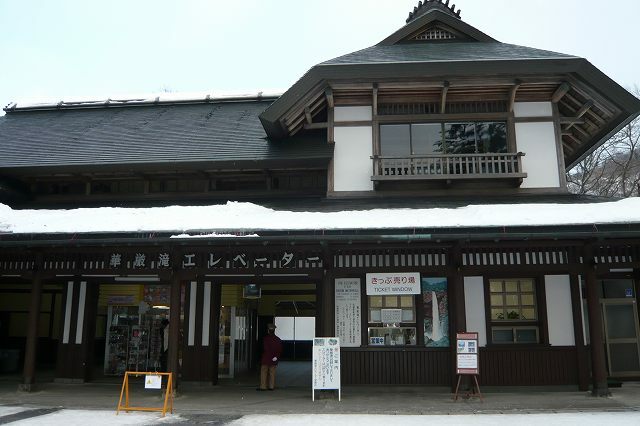 Nagano City, established in 1897, was originally a town built around the temple. 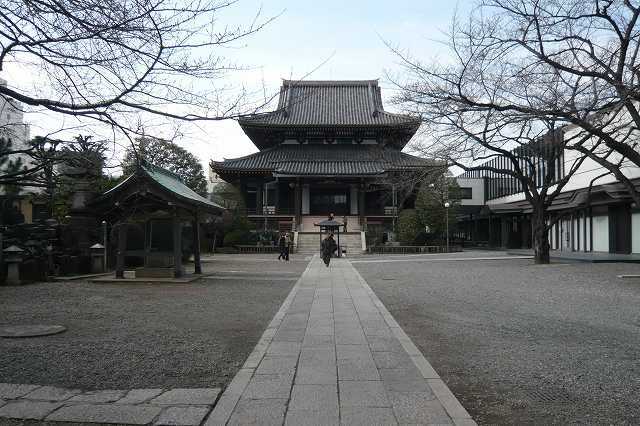 Historically, the Zenkou-ji is perhaps most famous for its involvement in the battles between Uesugi Kenshin and Takeda Shingen in the 16th century, when it served as one of Kenshin's bases of operations. 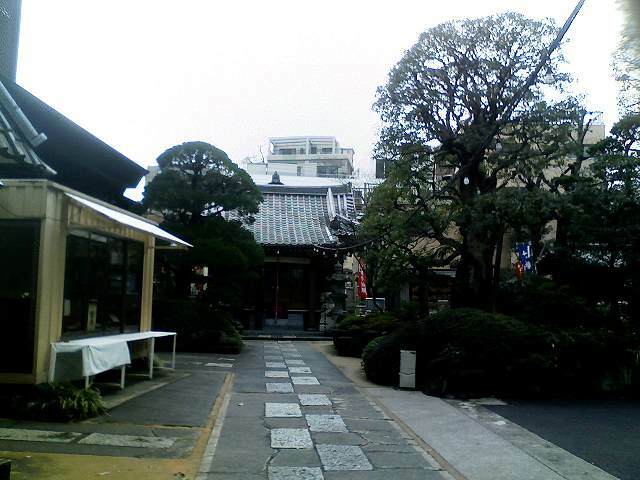 Currently, the Zenkou-ji is one of the last few remaining pilgrimage sites in Japan. 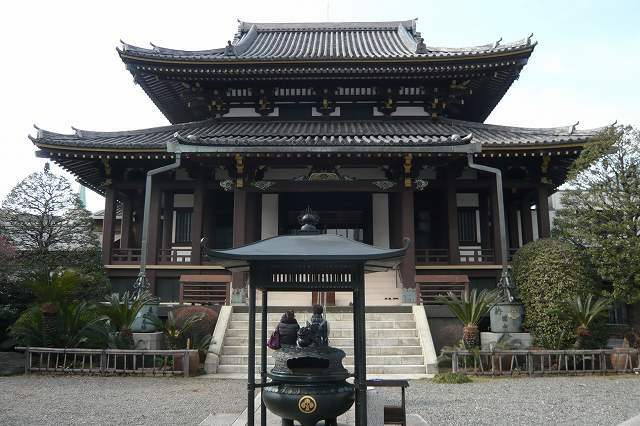 Zenkou-ji was founded before Buddhism in Japan was split into several different sects, so it currently belongs to both the Tendai and Jodo Shu schools of Buddhism, and is co-managed by twenty-five priests from the former school, and fourteen from the latter. The temple enshrines images of the Amida Buddha. According to legend, the image, having caused dispute between two clans, was dumped into a canal. It was later rescued by Yoshimitsu Honda. 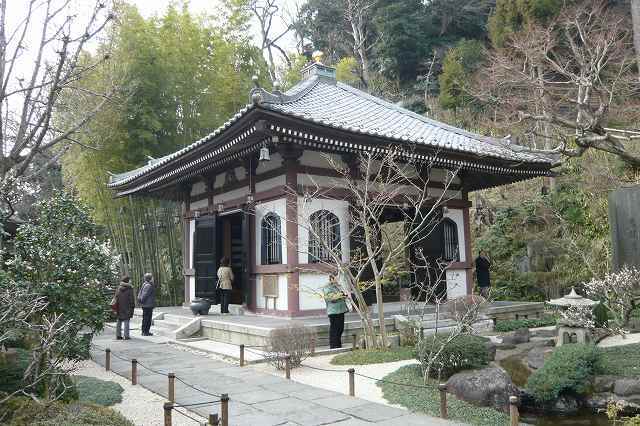 The temple was thus named "Zenkou," according to the Chinese transliteration of Yoshimitsu's name. 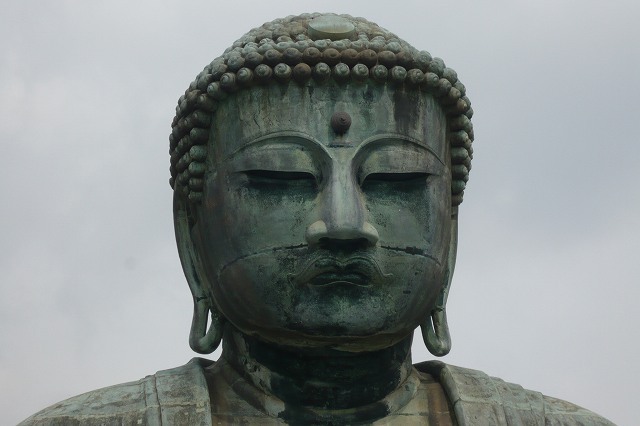 The main Buddhist image is a hibutsu (secret Buddha), a hidden Buddha statue, not shown to the public. 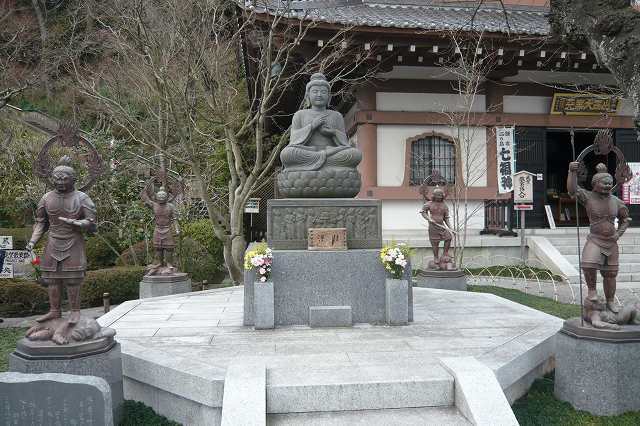 This hibutsu is rumored to be the first Buddha statue to ever be brought to Japan. 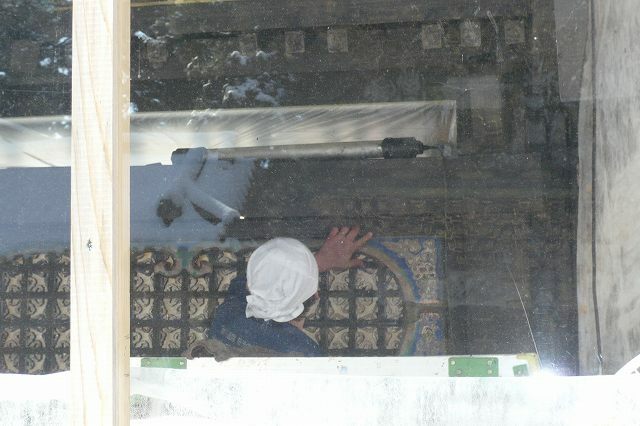 The commandments of the temple require the absolute secrecy of the statue, prohibiting it to be shown to anyone, including the chief priest of the temple. 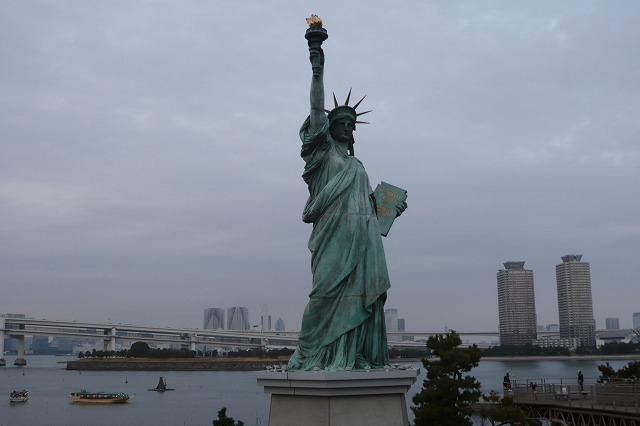 However, a replica of the statue (Maedachi Honzon) has been created which can be shown publicly once every six years in spring, in a ceremony called Gokaichou. This event attracts many worshippers and visitors. When the statue was on display in 2003, Zenkou-ji cooperated with Motozenkou-ji and Zenkou-ji of Kofu, Yamanashi Prefecture. 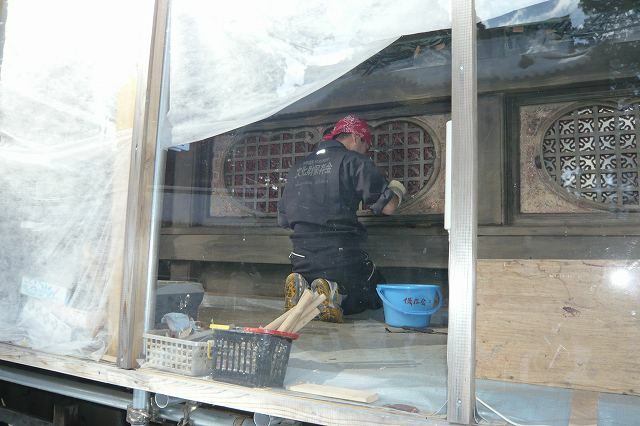 The most recent display of "Maedachi Honzon" took place in April and May, 2009. 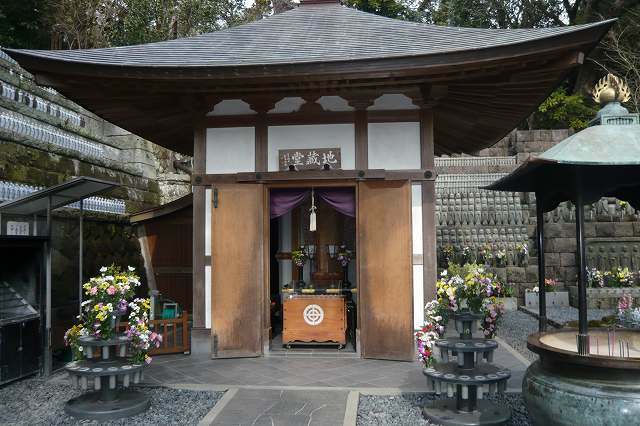 The temple contains a statue of Binzuru, a physician who was said to be Buddha's follower. Visitors to the temple touch the statue in order to cure their ailments. The temple also contains an inner prayer chamber, accessible to visitors. Currently, a daily morning ritual is held there by the high priest or priestess. From the inner chamber, a narrow staircase leads down to a completely dark corridor. 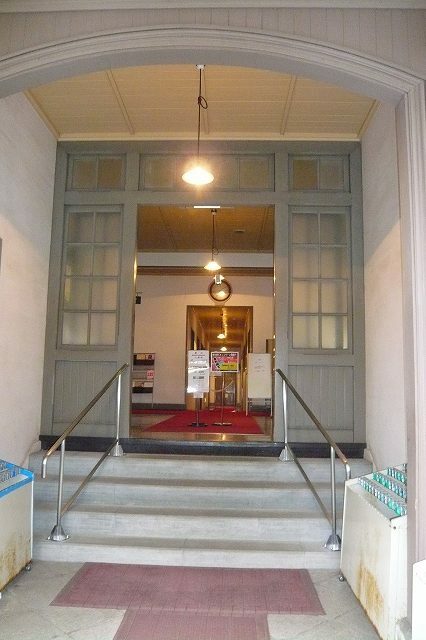 In this corridor worshippers try to touch a metal key hanging on the wall, in order to gain enlightenment. The key represents the Key to the Western Paradise of the Amida Buddha. Omotesando is an avenue, subway station and neighborhood in the Minato and Shibuya wards in Tokyo stretching from Harajuku station, the foot of the famous Takeshita Street, to Aoyama-dori where Omotesando station can be found. Zelkova trees line both sides of the avenue. Around 100,000 cars drive down the main street daily. Omotesando was originally created as the frontal approach to Meiji Shrine, when the Shrine was dedicated in the Taisho era. It is known as an upscale shopping area featuring several international brand outlets, ranging from Louis Vuitton and Gucci to the more affordable Gap, The Body Shop, Zara, and others. Omotesando is also home to the famous Japanese toy store Kiddyland, a well known and extremely trendy shopping center geared primarily toward young women Laforet, Oriental Bazaar, and Gold's Gym. 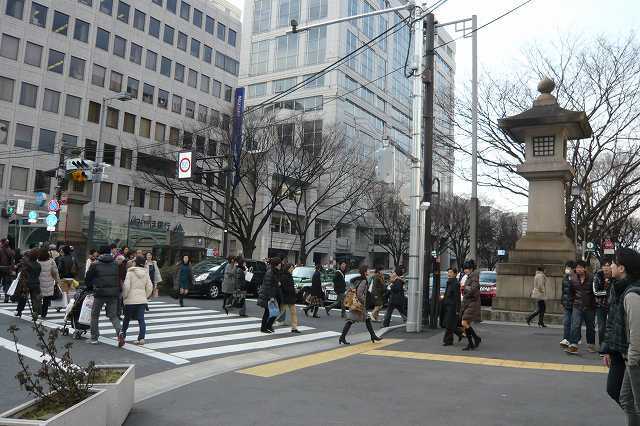 It is sometimes referred to as "Tokyo's Champs-Elysees". Its latest development, Omotesando Hills, opened in 2006. Omotesando's side streets feature a range of trendy cafes, bars, and restaurants, as well as boutique stores specialising in everything from handbags to postcards to vintage glass bottles. Every year Omotesando is the venue for Tokyo's Saint Patrick's Day Parade. Omotesando Hills was built in 2005, in a series of Tokyo urban developments by Mori Building. It occupies a two hundred and fifty meter stretch of Omotesando, a famous shopping and previously residential road in Aoyama. It was designed by Tadao Ando, and contains over 130 shops and 38 apartments. The construction of Omotesando Hills, built at a cost of $330 million, has been marked by controversy. The building replaced the Bauhaus-inspired Doujunkai Aoyama Apartments, which had been built in 1927 after the 1923 Kanto earthquake. The destruction of the apartments again raised questions about Japan's interest in preserving historic buildings. A small section of the old apartments is reconstructed in the South-East part of the new complex. In Japanese cuisine, konjac (known as konnyaku) appears in dishes such as oden. It is typically mottled grey and firmer in consistency than most gelatins. It has very little taste; the common variety tastes vaguely like salt. It is valued more for its texture than flavor. Ito konnyaku (糸蒟蒻) is a type of Japanese food consisting of konjac cut into noodle-like strips. It is usually sold in plastic bags with accompanying water. It is often used in sukiyaki and oden. The name literally means "thread-konjac." Japanese konnyaku is made by mixing konjac flour with water and limewater. Hijiki is often added for the characteristic dark color and flavor. Without additives for color, konnyaku is pale white. It is then boiled and cooled to solidify. Konnyaku made in noodle form is called shirataki and used in foods such as sukiyaki and gyudon. The dried corm of the konjac plant contains around 40% glucomannan gum. This polysaccharide makes konjac jelly highly viscous. Konjac has almost no calories but is very high in fiber. Thus, it is often used as a diet food. Yama, the name of the Buddhist dharmapala and judge of the dead, who presides over the Buddhist Narakas, "Hells" or "Purgatories". Although ultimately based on the god Yama of the Hindu Vedas, the Buddhist Yama has developed different myths and different functions from the Hindu deity. He has also spread far more widely, and is known in every country where Buddhism is practiced, including China and Japan. In Chinese mythology, Yan Wang, also called Yanluo, is the god of death and the ruler of Di Yu ("hell" or the underworld). The name Yanluo is a shortened Chinese transliteration of the Sanskrit term "King Yama". In Korean, the same characters are pronounced Yomra and the deity is usually referred to as the Great King Yomra. 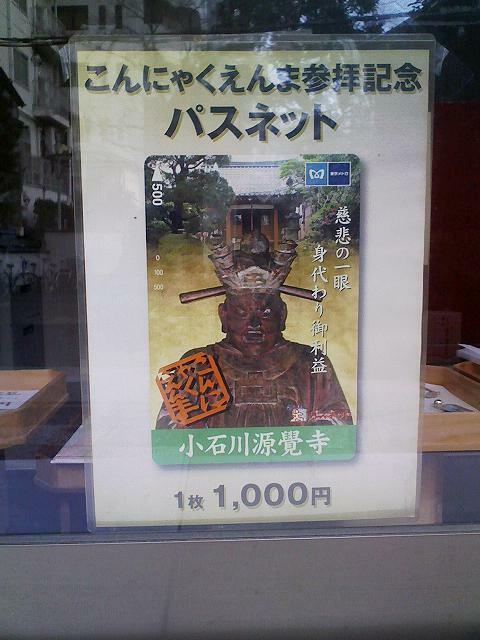 In Japan Yanluo is referred to as Emma Dai-Ou ("Great King Yama"). In both ancient and modern times, Yanluo is portrayed as a large man with a scowling red face, bulging eyes and a long beard. He wears traditional robes and a crown on his head that usually bears the kanji 王, which stands for "king." Yanluo is not only the ruler but also the judge of the underworld and passes judgment on all the dead. He always appears in a male form, and his minions include a judge who holds in his hands a brush and a book listing every soul and the allotted death date for every life. Ox-Head and Horse-Face, the fearsome guardians of hell, bring the newly dead, one by one, before Yanluo for judgement. Men or women with merit will be rewarded good future lives, or even revival in their previous life. Men or women who committed misdeeds will be sentenced to torture and/or miserable future lives. The second level of Di Yu was ruled by king Chu Jiang and reserved for thieves and murderers. The spirits of the dead, on being judged by Yanluo, are supposed to either pass through a term of enjoyment in a region midway between the earth and the heaven of the gods, or to undergo their measure of punishment in Naraka, the nether world, situated somewhere in the southern region. After this time they may return to Earth in new bodies. Yanluo is considered to be an office or bureaucratic post, rather than an individual god. There were said to be cases in which an honest mortal was rewarded the post of Yanluo, and served as the judge and ruler of the underworld. In his capacity as judge, Yanluo is normally depicted wearing a Chinese judge's cap in Chinese and Japanese art. Yanluo sometimes appears on Chinese Hell Bank Notes.